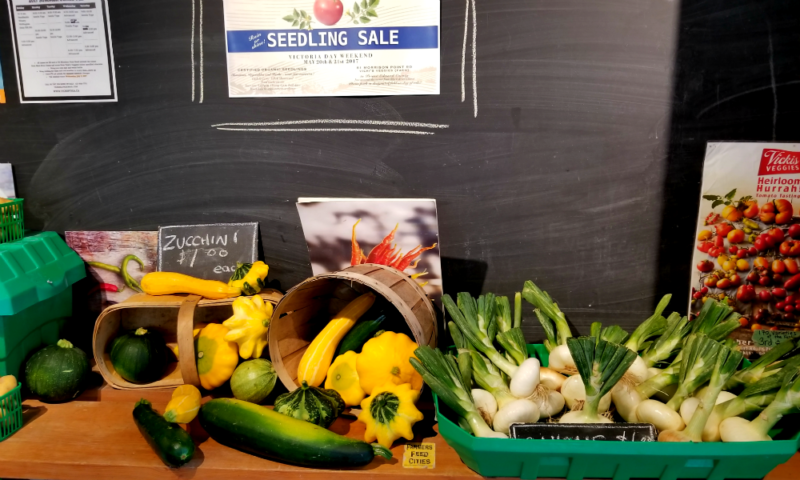 Vicki's Veggies Farm - Travel, Shop, Cook, Have Fun! Located on the shady and cozy Morrison Point Road in the South Eastern part of Prince Edward County this place doesn’t look like anything we’ve seen before. A cute little store under a big tree harmoniously fitting into the surrounding landscape, giving you a feeling it’s been there forever. Despite being in, what seems to be, a remote area, this place is pretty popular. A couple of customers were helping themselves to mini tomatoes outside of the store when we arrived and more people came after. 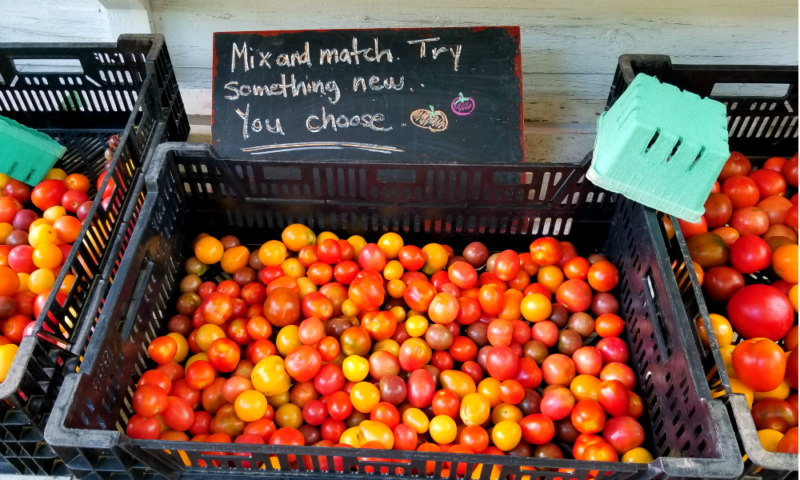 This organic certified farm grows hundreds of varieties of heirloom tomatoes and also produces up to 30 other vegetable crops. 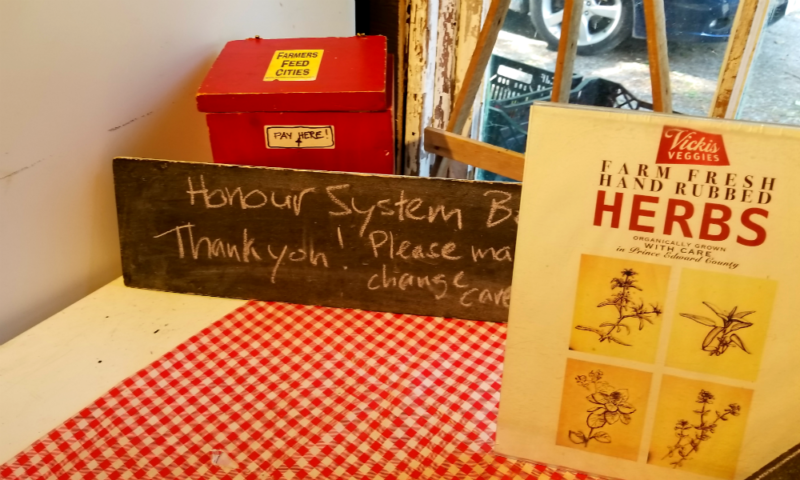 There is no cashier at the store, instead, customers are asked to leave the payment in the red box. People we have met at the farm seemed to be visiting this place frequently. They helped us understand how and how much we need to pay. 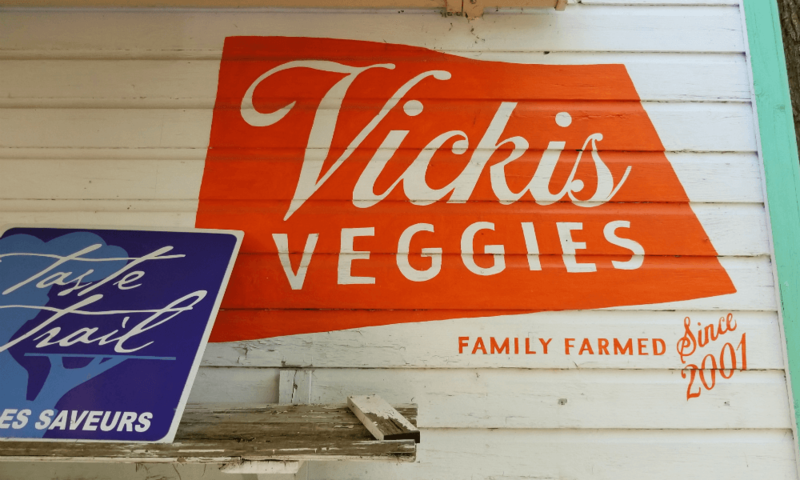 Apparently, Vicki’s Veggies farm is well known and respected in the neighbourhood – now we know why.